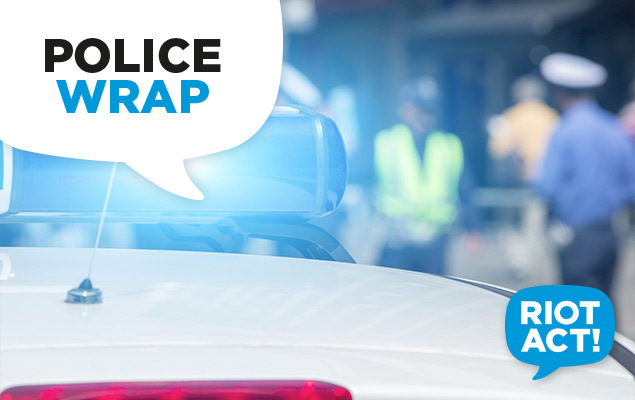 ACT Policing has charged a 20-year-old man of no fixed abode following investigations into the aggravated burglary of a Gungahlin jewellery store last month. Around 5.10am on Tuesday March 31, ACT Policing responded to an incident in which a silver Subaru Impreza wagon was driven into the Gungahlin Village shopping complex, breaking through the doors from a carpark at the rear of the complex. The vehicle was then driven through the arcade complex and into the front of a jewellery shop inside the centre. Two offenders then stole items from the premises before leaving in the same vehicle, damaging a second set of external doors in the arcade complex. ACT Policing members and AFP Forensic Services attended and examined the area. The silver Subaru Impreza was identified by police as a stolen vehicle and was later located in Kaleen, damaged by fire. ACT Policing investigations led to the arrest of the 20-year-old man yesterday afternoon. He was taken to the ACT Watch House and charged with burglary, property damage, driving a stolen vehicle and arson. He will face the ACT Magistrates Court this morning. Anyone who may have any information that could assist police to contact Crime Stoppers on 1800 333 000, or via act.crimestoppers.com.au. Information can be provided anonymously. Kudos to our Police. Hopefully a space for him in our new ( sort of ) jail in Symonston ( of course after the due process and all that ). Weekend detention for car theft and ram raid?